If you are looking for an amazing dog for yourself, your child or a friend, you will be glad you came across this post. If dogs are man’s best friend, Goldendoodles are the best of the best. This is an amazing breed that combines both smarts and friendliness, and you can choose the color and size you want. Beyond that, there’s a lot more you stand to gain from choosing a Goldendoodle. This is even more true if you or a member of your family have a special need and could benefit from a wonderful service dog because Goldendoodles are uniquely suited for this important role. When Noah was learning how to walk he spent some time with “Eli,” a big Golden Retriever Therapy Dog. He did really well with a big dog, and although we’ve always had small dogs as a married couple, I thought it would be fun for Noah to have a big dog in the house. Goldendoodles have this amazing way of giving people with special needs the encouragement they need to get through the day. If you’re still reading this, there’s no reason you should be second-guessing at this point. The Goldendoodle is your best choice. 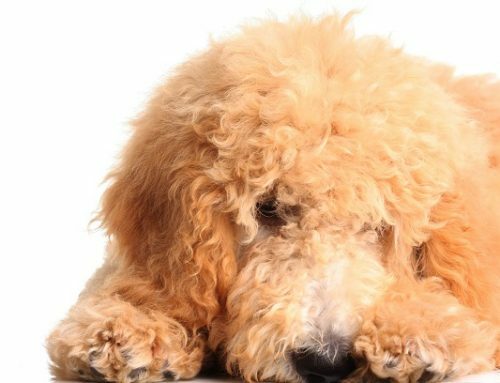 At Blue Ridge Goldendoodles, we produce second-to-none puppies with beautiful temperaments and offer a two-year health guarantee with every one. To learn more about our pups, call us at 865-286-5338 or fill out the contact form on our website. You can check out our available puppies here. Complete the online Application to start the process of securing your new best friend.